We offer Daily Departure Kenya Safari: 2 Days 1 Night Masai Mara: 3 Days Masai Mara Camping Safari: 4 Days Masai Mara Nakuru Safari: Climb Mt Kilimanjaro Trekking, Mt. Kenya Hiking Tours, Mt Rwenzori Climbing and Mount Elgon Trekking, Hiking Tours: 5 Days Mount Kenya Up Sirimon down Down Chogoria, Kilimanjaro Climbing 7 Days Mt Kilimanjaro Climb Machame Route Hiking Package. 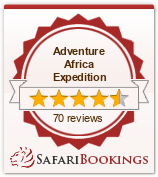 Adventure Africa Expedition East Africa is among the finest Kenya Budget Tour Operators and Tanzania luxury lodge itineraries that offers a level of product, excellence service through experience and value that is second to none in Africa. Kenya Budget Camping Tours, Tanzania Backpackers Trips and Uganda Budget Holidays are some of the safaris that we offer our clients who are on a shoe-string budget. Kenya Safaris, Kenya Lodge Safaris, Birds of East Africa, Cultural Safaris as well as Lake Turkana Expeditions are the most preferred by luxury tourists and low budget backpacker travelers. We offer our quality and excellent service to Department for International Development dfid gov.uk, British High Commission staffs, Save The Children https://www.savethechildren.net for Kenya and Tanzania holidays, Trekking Tours, Mt Longonot, 1 Day Tour Elephant Hills, Mt Elgon, 5 Days Mt Kenya Chogoria and 7-8 Days Mount Kilimanjaro. Our Driver Guide will pick you up from your Nairobi hotel, Guest House or Residential House as early as 0730am after the breakfast, there after proceed to our departure point which is in the city center where you will be met by one of our staff for final review of the program as you join the other travelers if its a joining safari. At this point you will have an opportunity to visit the Super Market just in case you needed to make the last minute shopping. There after depart Nairobi and proceed to the Great Rift Valley View point which will be your first stop over, after few minutes of photography embark again in the safari vehicles and go down the rift valley and in the next 2 hours to arrive in Narok for lunch. After lunch and stretching your feet you will proceed again for another 2 hours on a bumpy road which leads you now to the famous 7th wonder of the world home of millions of wildebeest and all other Big 5 commonly known the Masai Mara World leading Tourist attraction. On arrival you will be received by our Staff in the camp or in lodge as you proceed to the check in. After checking in your rooms you will proceed for the late afternoon game drive for about 2hours game viewing which will unfold to you the beauty of the African Sunset. Return to the Camp or Lodge for dinner and overnight. Masai Mara (Masai Mara) is situated in south-west Kenya and is one of Africa Greatest Wildlife Reserves. Together with the Serengeti National Park in Tanzania it forms Africa most diverse, incredible and most spectacular Eco-systems and possibly the worlds top safari big game viewing Eco-system. I am sure you have heard the wildebeest migration is nothing short of amazing. It is one of the things you have do add to your bucket list. This will be the full day explore the Masai Mara, breakfast will be served as early as 0730am, then our cook will pack for you fresh picnic lunch since the whole day will be exploring the Masai Mara famous 7th wonders of the World. This game reserve is Kenya's finest wildlife sanctuary. Including migrants, well over 450 species of animals have been recorded here. Mara plains are filled with migrating wildebeest and zebra, there is also resident wildlife year round. The Mara's gentle fertile climate bounded by The Rift, offers perhaps the richest stocked reserve set within some 1672 sq km - an unlimited spectacle of wildlife. Located 268 km west of Nairobi, the emphasis here is on game. Herds of immense Elephants, browse among Lion, Buffalo, Thompson Gazelle, Zebra and Topi. You may occasionally sight black Rhino. In the Mara River Hippos play and Cross bask on the banks. The annual migration of a million Wildebeest follows the rains north. After exploring the park return to the camp or Lodge for dinner and overnight..
Extras such as beverages and drinks, telephone, laundry etc.